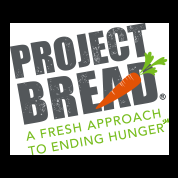 On May 11th your Letter Carrier will pick up non-perishable, non- expired food items and deliver them to the Sudbury Community Food Pantry located at 160 Concord Rd in the basement of Our Lady of Fatima Church. This local Postal Service initiative is part of the largest one-day food drive in the nation and has been feeding the hungry for over 25 years. It is successful because of your donations and the continuous work of your US Postal Letter Carrier. All you need to do is to place, non-perishable, non-expired, food items by your mail box before your Carrier delivers the mail on May 11th or drop it at your Post office. Your Letter Carrier will pick it up and deliver it to the Sudbury Food Pantry. There Volunteers will sort it and make it available to needy families. The Pantry serves families from throughout the Metro west providing an open shelf, dignified shopping opportunity for over 27 years. Together with the National Association of Letter Carriers, we all can help our neighbors who are facing hunger every day here in our area. Your Neighbors Thank You! The Food Pantry will be closed Tuesday June 25 and Thursday June 27. Our Lady of Fatima church will be hosting their Summer Adventure Program from Sat June 22 through Thursday June 27. The Sudbury Community Food Pantry celebrated its 27th anniversary in 2017. The 89 volunteers, contributed 6,351 hours, in order, to serve our clients. Your commitment and dedication has enabled us to aid people who are struggling financially by providing them with wholesome food and personal care items that promote healthy living and doing so in a manner that respects their dignity. 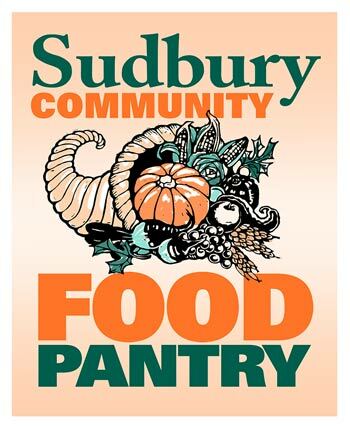 I have heard on numerous occasions from my peers in other towns that clients of their pantry have described the Sudbury food pantry as a place with a friendly and welcoming environment. From coordinating the volunteers, monitoring the pantry answering machine, stocking the shelves, picking up from: donation boxes at Sudbury Farms and Shaw’s, purchases from The Greater Boston Food Bank, delivering them to the pantry, distributing the food, registering the clients, taking cardboard to the landfill, to processing the food collected in the various food drives and deliveries from the GBFB, you have enabled The Sudbury Community Food Pantry to become an exceptional organization. 2017 was a year with surprises. With the economy growing day by day and the unemployment numbers low, we expected the amount of people seeking help from our pantry would be down, considering 2015-2016 were flat. To our surprise The demand was up sharply, starting with January which was almost as busy as November which is traditionally our busiest month. In 2017 we served 909 different families an increase of 6.8% over 2016 and we had 3,105 client visits an increase of 9.95%. over 2016. (see graph below) We added 394 new clients in 2017 while 336 no-longer needed our services. You can download our full report here.